Danish Estonia, or Hertugdømmet Estland is the name given to the territories in present-day Estonia that were ruled by Denmark during the 13th–14th centuries and again in the 16th–17th centuries. Denmark rose as a great military and mercantile power in the 12th century. It had an interest to end the frequent Estonian Viking attacks that threatened its Baltic trade. Danish fleets attacked Estonia in 1170, 1194, and 1197. In 1206, King Valdemar II and archbishop Andreas Sunonis led a raid on Ösel island (Saaremaa). The Kings of Denmark laid a claim on Estonia as their possession, which was recognised by the pope. In 1219 the Danish fleet landed in the major harbor of Estonia and defeated the Estonians in the Battle of Lyndanisse that brought Northern Estonia under Danish reign until the Estonian uprising in 1343, when the territories were taken over by the Teutonic Order and sold by Denmark in 1346. In 1559 during the Livonian war the Bishop of Ösel-Wiek in Old Livonia sold his lands to King Frederick II of Denmark for 30,000 thalers. The Danish king gave the territory to his younger brother Magnus who landed on Saaremaa with an army in 1560. The whole of Saaremaa became a Danish possession in 1573, and remained so until it was transferred to Sweden in 1645. 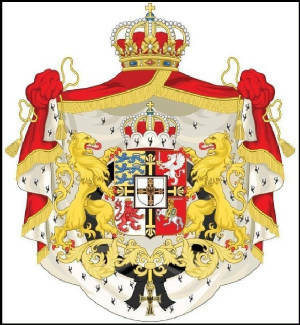 The Duchy of Estonia (Danish: Hertugdømmet Estland Latin: Ducatus Estonie), was a direct dominion (Latin: Dominum directum) of the King of Denmark from 1219 until 1346 when it was sold to the Teutonic Order and became part of the Ordenstaat. During the Livonian crusade in 1218, Pope Honorius III gave Valdemar II a free hand to annex as much land as he could conquer in Estonia. In addition, Albert of Riga, the leader of the Teutonic crusaders fighting the Estonians from the south, visited the king and asked him to attack the Estonians from the North. In 1219, Valdemar gathered his fleet, joined forces with the Rugian navy led by prince Wizlav of Rügen, and landed on the northern coast of Estonia in the Lyndanisse (now Tallinn) harbor in the Estonian province of Revala. According to the legend, the national flag of Denmark Dannebrog was born at this time, falling from the sky during a critical moment in the fight and helping the Danes to win the Battle of Lyndanisse against the Estonians. The date of the battle, June 15, is still celebrated as Valdemarsdag (the national "flag day") in present-day Denmark. The order of Livonian Brothers of the Sword had conquered Southern Estonia whilst Denmark had taken the North, and the two agreed to divide Estonia, but quarreled over the exact borders. In 1220 the King of Denmark gave up his claim on the southern Estonian provinces of Sakala and Ugaunia, which had already been conquered by Brothers of the Sword. Bishop Albert ceded to Denmark the Estonian provinces of Harria, Vironia and Jerwia. In 1227 the Livonian Brothers of the Sword conquered all Danish territories in Northern Estonia. 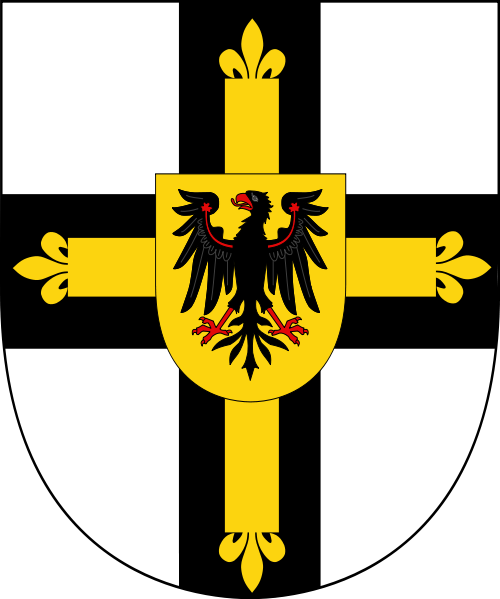 After their defeat in the Battle of Saule, the surviving members of the order merged into the Teutonic Order of Prussia in 1237. On June 7, 1238, the Teutonic Order concluded the Treaty of Stensby at a royal fortress in the south of Zealand with the Danish king, Valdemar II. Under the treaty, Jerwia stayed part of the Ordenstaat, while Harria and Vironia were ceded back to King of Denmark as his direct dominion, the Duchy of Estonia. The first Duke of Estonia had been appointed by Valdemar II in 1220, and the title was now resumed by the kings of Denmark starting in 1269. Due to its status as the king's personal possession, the Duchy of Estonia was included in a nationwide Danish taxation list Liber Census Daniæ (Danish: Valdemar Sejrs Jordebog) (1220–41), an important geographic and historic document. The list contains about 500 Estonian place names and the names of 114 local vassals. The capital of Danish Estonia was Reval (Tallinn), founded at the place of Lyndanisse after the invasion of 1219. 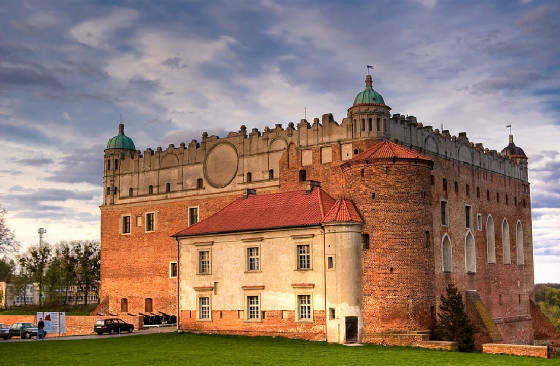 The Danes built the fortress of Castrum Danorum at Toompea Hill. Estonians still call their capital "Tallinn", which, according to an urban legend, derives from Taani linna (Danish town or castle). Reval was granted Lübeck city rights (1248) and joined the Hanseatic League. Even today, Danish influence can be seen in heraldic symbols: the city of Tallinn's coat of arms features the Danish cross, while Estonia's coat of arms depicts a similar three lions to the Danish coat of arms. In 1240 Valdemar II created the Bishopric of Reval but, contrary to canon law, reserved the right to appoint the bishops of Reval to himself and his successors as king of Denmark. The decision to simply nominate the See of Reval was unique in the whole Catholic Church at the time and was disputed by bishops and the Pope. During this period, the election of bishops was never established in Reval, and royal rights over the bishopric and to nominate the bishops were even included in the treaty when the territories were sold to Teutonic Order in 1346. First mentioned in 1240, the duchy was locally governed by a viceroy (Latin: capitaneus) appointed by the king and functioning as his plenipotentiary. The viceroy had administrative powers, he collected the taxes, and he commanded the vassals and the troops in case of war. Most of the viceroys were either of Danish or Danish-Estonian nationality. In Vironia, the main power centers were Wesenberg (Rakvere) and Narva, built on the site of the old Estonian fortresses of Rakovor and Rugodiv. Wesenberg was granted Lübeck city rights in 1302 by King Erik Menved. Narva received these rights in 1345. 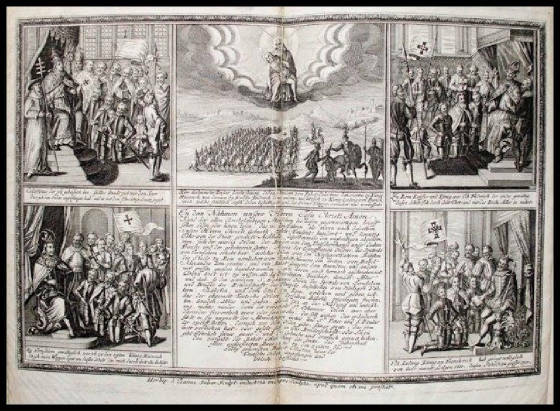 The vassals of the Danish king received fiefs per dominum utile in exchange for military and court services. The vassals' oath to a new king had to be sworn for a "year and a day". Of the vassals, 80% were Germans from Westphalia, 18% were Danes, and 2% were Estonians (Clemens Esto, Otto Kivele, Odwardus Sorseferæ, etc.). The chronicler Ditleb Alnpeke (1290) complained that the king of Denmark was accepting Estonians as his vassals. Danish rule was more liberal in this respect than that of the Brothers of the Sword, in whose territories no natives were allowed to become lords of fiefs. In 1248, the vassals and burgers of Reval already had a local legislative body or ritterschaft. The Danish army only visited the province occasionally. In 1240–42, Denmark went to war against Novgorod and tried to extend its rule to the land of Votians. King Valdemar sent his sons Abel and Canute to support his vassals' campaign, but they did not win any new territory. The Danish king Erik Plogpennig visited Estonia in 1249, and the Danish fleet sailed to Reval in 1268 and 1270 against Russian and Lithuanian threats. In August 1332, King Christopher II of Denmark died and Denmark fell into political turmoil. The province in Estonia became split between a pro-Danish party led by bishop Olaf of Reval and the pro-German party led by captain Marquard Breide. After the Estonians of Harria rebelled in the St. George's Night Uprising of 1343, the Teutonic Order occupied the territories. The overthrow of the Danish government came two days after the Order had put down the Estonian revolt, and the Danish viceroy was imprisoned in cooperation with the pro-German vassals. 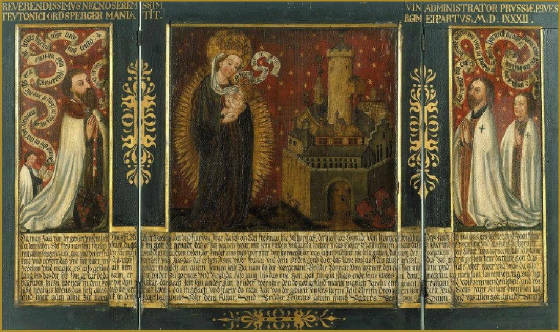 The castles in Reval and Wesenberg were handed over to the Order by the pro-German party on May 16, 1343 and the castle at Narva in 1345. In 1346 Estonia (Harria and Vironia) was sold for 19 000 Cologne marks to the Teutonic Order, notwithstanding the promise by Christopher II in 1329 never to abandon or sell Denmark's Estonian territories. The king of Denmark even made a public statement repenting for breaking that promise and asked forgiveness from the Pope. The shift of sovereignty from Denmark to the Teutonic Order took place on November 1, 1346. 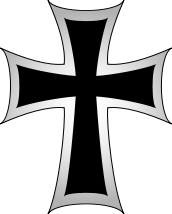 The title of "Duke of Estonia", which had previously been held by the Danish kings, fell into disuse during the Teutonic Order era and was not revived until 1456 by the Danish King Christian I. The title was assumed by the Swedish monarchy after their conquest of Estonia during the Livonian War. The title then transferred to the Russian Tsars after their victory in the Great Northern War and continued to be a subsidiary title of the Russian Tsars until the Romanov Dynasty was overthrown in 1917 during the Russian Revolution. 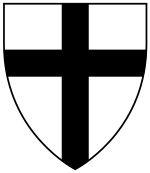 The present day claims to the Duchy of Estonia by the Teutonic Order. The present 60th Hoch und Deutschmeister of the Teutonic Order has formally decreed that on the 1st of January 2010, the Teutonic Order of Saint Mary's Hospital in Jerusalem, reclaimed all the Teutonic Orders formerly held possessions, rights and patrimony to the Teutonic Duchy of Estonia, which was sold by the King of Denmark to the Teutonic Order on the 1st of November in the year 1346 and was never legally re-sold or given away by the Teutonic Order to any other Country, State or Person, but infact was illegally taken by force without due consent or compensation given to the Teutonic Order of Knights, therefore the present 60th Hoch und Deutschmeister of the Teutonic Order, formally assumes from the date of the aforementioned decree issued, the complete Feudal Overlordship of the Duchy of Estonia together with Title and Rank of Duke of Estonia, to be henceforth held, born and enjoyed as such upon all present and future Hoch und Deutschmeisters of the Teutonic Order in perpetuity as the sole possession of the Teutonic Order and Brotherhood of Knights.